SPAM mails are the most annoying email issues. It is impossible to deal with thousands of irrelevant emails coming to your inbox calmly. Especially if you receive them on daily basis and it becomes a task to find work related emails from the heap of junk emails. Yahoo! Mail offers spam filters to reduce this issue. These filters directly send the suspicious emails to the spam folder. However, sometimes these filters become problematic and don’t work as designed. This means spam emails are not transferred to the spam folder or important emails are sent to spam folder. This creates difficulty for users as their inbox filled with spam email. -Every email goes through spam filter before moving to next filters. So, if you can’t find your emails in inbox or any other folder, check spam folder. -Check if you have created any empty filter (filter without rules.) In case this filter is at the top of all other filters, other filters’ rules will become void and mails will be sent to inbox. -Create multiple filters sensibly. A filter uses all rules defined to separate emails, if any of the rule is not matched, the filter will not apply. So, if you want a filter to satisfy any of the two rules, create two separate filters. 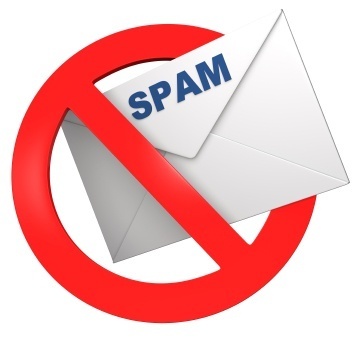 -Another reason for a spam filter not working might be conflicting rules. Avoid using positive and negative phrases together in a filter. In your Yahoo mailbox, right-click on the suspicious email. Now, click on “Filter emails like this” to open the Add Filter window. Give a name to the filter, set rules. Working with the above suggestions will help in resolving the spam filter issue. If not, you can search online for Yahoo Customer Care technical support and talk to experts about your issue. Apart from official Yahoo support service; there are various third party service providers who offer effective and quick solutions for technical issues. Contact Email Support is one of such independent email support providers offering 24 hours services in all 7 days of the week. Call our toll free number and share your issue in detail with certified professionals. Next Next post: Unable to Attach file in Outlook Email?